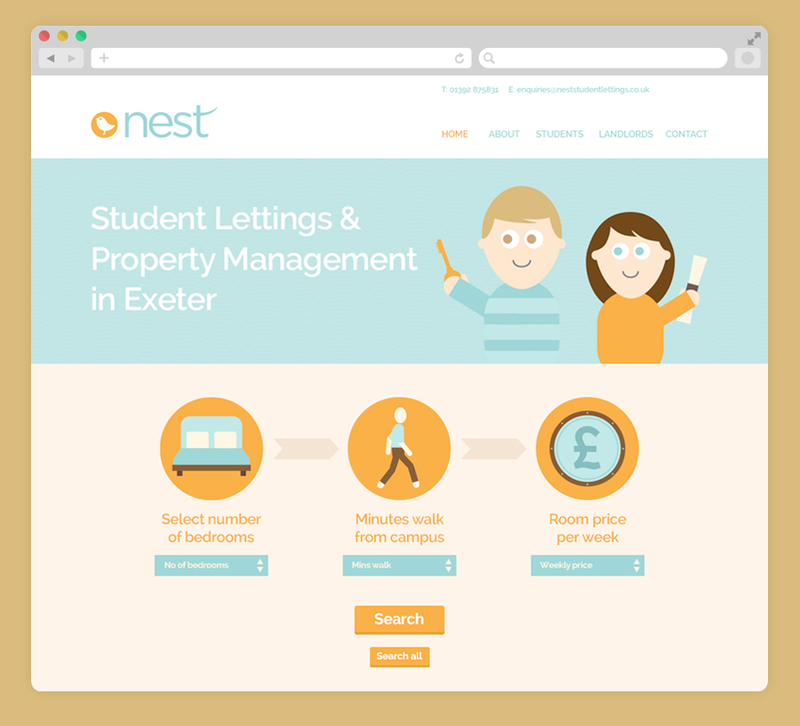 New start-up student lettings and property management company Nest commissioned us for logo design and website home page design. Their brief was for a modern, colourful and fresh logo design that spoke clearly to their student audience. We created a logo and home page design that reflected this and made them stand out in a market place that favours a more traditional design approach.